Kybella® is a nonsurgical treatment for excess fat beneath the chin (double chin). This revolutionary treatment is the first of its kind and the only one currently approved by the FDA for the nonsurgical removal of submental fullness. Board-certified Greenwood plastic surgeon Dr. Ted Vaughn is pleased to offer Kybella to men and women living throughout South Carolina and adjacent areas of Georgia. 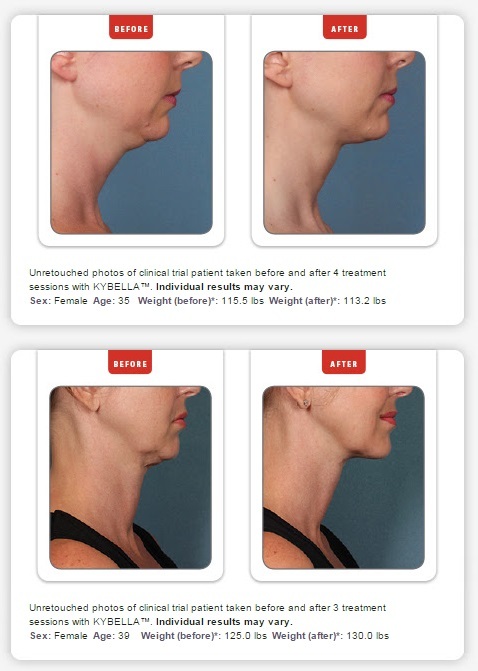 If you are interested in learning more about Kybella, please call our office at 864-223-0505 or use our online contact form to schedule a consultation with Dr. Vaughn today. Kybella uses deoxycholic acid to break apart and emulsify fat underneath the chin. Deoxycholic acid is already present in the body – serving the purpose of metabolizing fat from food sources – a fact that allows Kybella to be very well tolerated by most patients. With Kybella, deoxycholic acid is injected directly into fat deposits below the chin where it works to destroy these cells and restore tone and contour to the lower face. Once destroyed, these fat cells cannot come back, making results from Kybella permanent. While results are permanent, they will not be as quickly achieved as those offered by neck liposuction or neck lift. However, choosing Kybella eliminates surgical risks, scarring, and the lengthy recovery period that can accompany these more invasive techniques, making it a more attractive option for some of our patients. Depending on the amount of fat in your double chin it may take up to six treatments before results are fully realized. Also dependent on the extent of your submental fullness is the number of injections each treatment will require. For some patients, as many as 20 injections may be needed during each treatment to produce the desired profile. Dr. Vaughn will be able to help you determine how many injections will be needed and for how long to achieve your specific goals during your initial consultation. Your Kybella treatments will be spaced at one month intervals, allowing for complete recovery in between. Because it is nonsurgical, the recovery time is much shorter than options such as facelift, but some bruising, swelling, and mild discomfort in the treatment area may be present in the days following your injections. These side effects should be short lived and should not interfere with your ability to engage in normal work, social, and family activities. Dr. Vaughn will cover ways you can manage discomfort and reduce swelling to help ensure the most positive recovery experience possible. Kybella is an incredibly effective way to eliminate double chin and restore natural definition to your lower face. During your initial consultation with our board-certified Greenwood plastic surgeon it can be determined if it is the best solution for your particular needs. Please call us at 864-223-0505 to schedule your visit today and learn if Kybella can help you reach your goals. Dr. Ted Vaughn is a board-certified plastic surgeon serving Greenville, Lauren, Anderson, and surrounding areas of South Carolina along with Augusta and surrounding areas of Georgia. 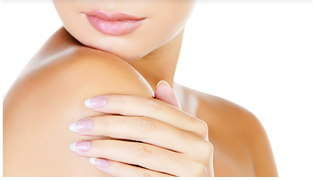 Piedmont Plastic Surgery offers a comprehensive range of services, all performed at our on-site AAAASF-accredited surgical suite to help protect your comfort and safety during all stages of your treatment. If you are considering any type of facial rejuvenation in South Carolina, we welcome an opportunity to meet with you, discuss your needs, cover all of your options, and help you choose the treatment best suited to produce the results you desire.